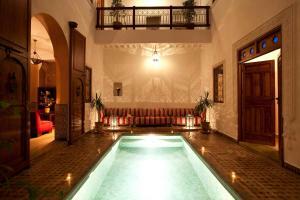 Riad Hiba is located in the heart of Marrakech just 50 metres from Jemaâ El Fna Square and 750 metres from the Koutoubia Mosque. 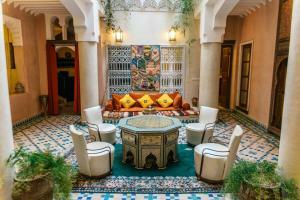 Riad Hiba is located in the heart of Marrakech just 50 metres from Jemaâ El Fna Square and 750 metres from the Koutoubia Mosque. 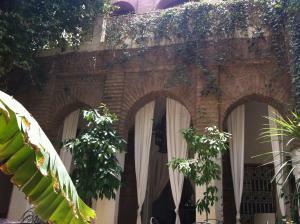 Guests are free to relax on the rooftop terrace or by the fountain in the patio. The guest rooms feature a traditional Moroccan décor, tile flooring and a seating area. 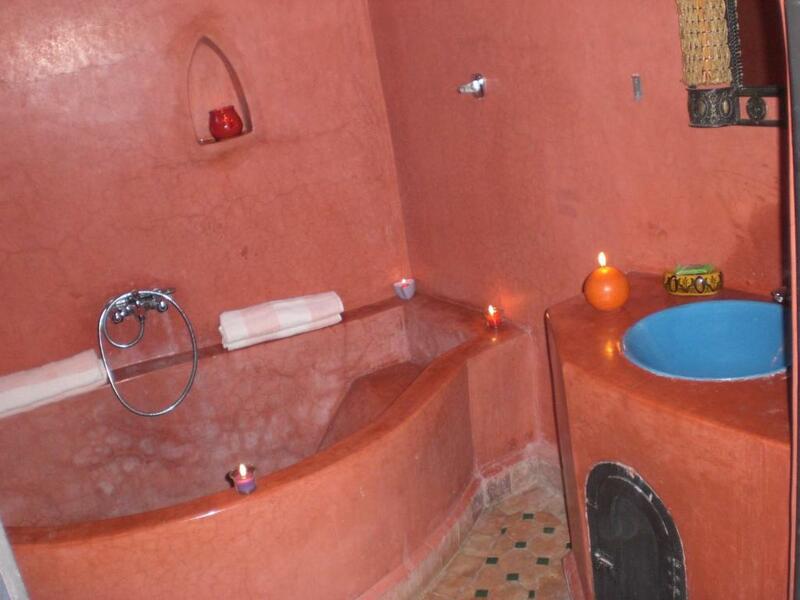 They each include a wardrobe and a private bathroom with free toiletries and a bath or a shower. 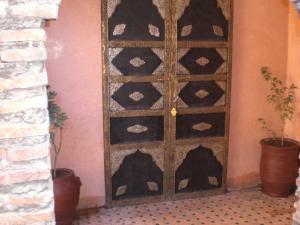 Moroccan cuisine can be enjoyed in the dining area upon request. 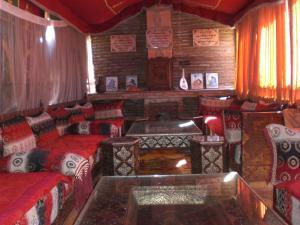 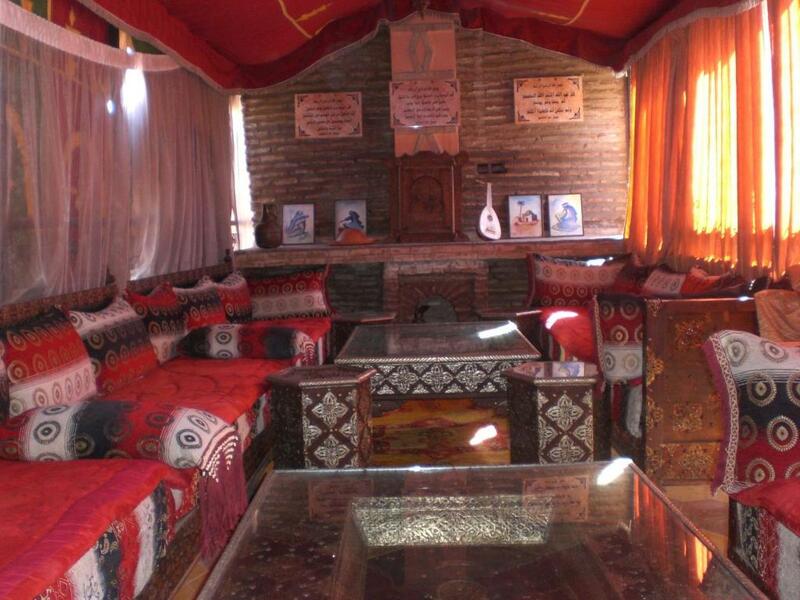 A traditional Berber tent is set up on the terrace and the property can help organise excursions in the surrounding areas. 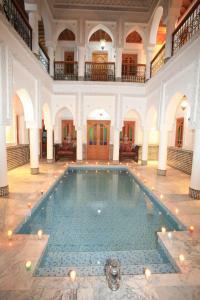 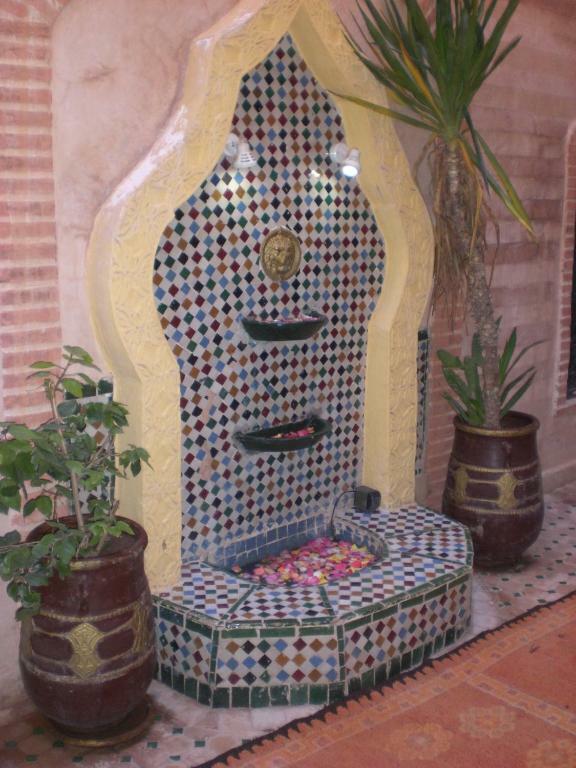 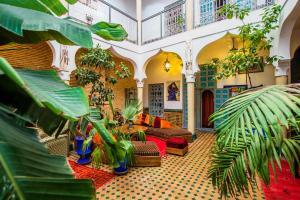 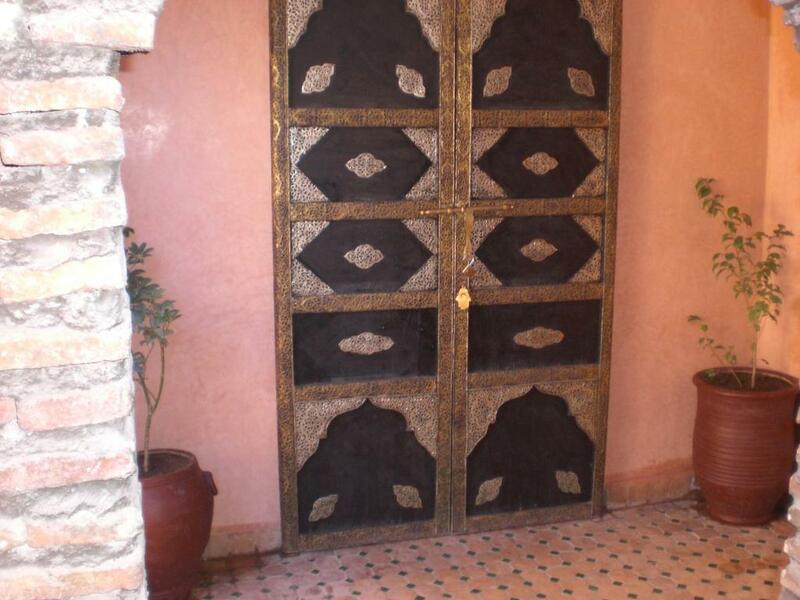 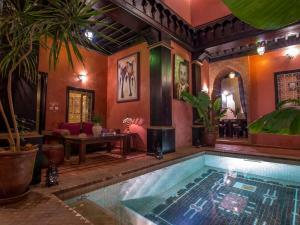 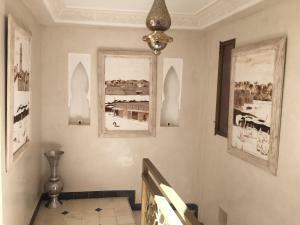 Riad Hiba is 750 metres from Palais de la Bahia and a 10-minute drive from the Majorelle Gardens. 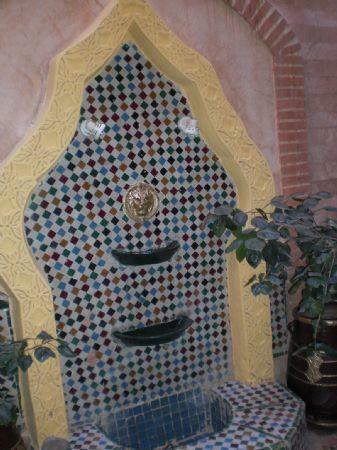 The Ben Youssef Madrasa is 1.2 km away and Marrakech-Menara Airport is reached by car in 20 minutes.